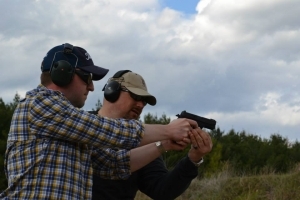 Tommy Teach has been actively involved in firearm instruction for 30+ years, gaining an in-depth knowledge of combat applications during his career as a US Navy Seabee. While deployed, he put his talents to use training fellow military members, and participated in combat roles, exchanging fire with interesting people in prime vacation spots throughout the world. After 8-years of active duty, Tommy went to work in sales for the family business. 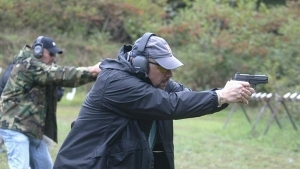 During this period, while training with John and Vicki Farnam and Frank Sharpe, he became an instructor for Defense Training International (DTI) and Fortress Defense Consultants, teaching citizens, law enforcement and military professionals, the Art of defensive small arms deployment. It was this combination of experiences that allowed him to identify a void in the less lethal market and to spearhead a design team in the development of the BRUZER™ Less Lethal Launcher (ML-12). Tommy is the CEO of Buzer, as well as a components and parts manufacturing company which supplies the firearms industry.